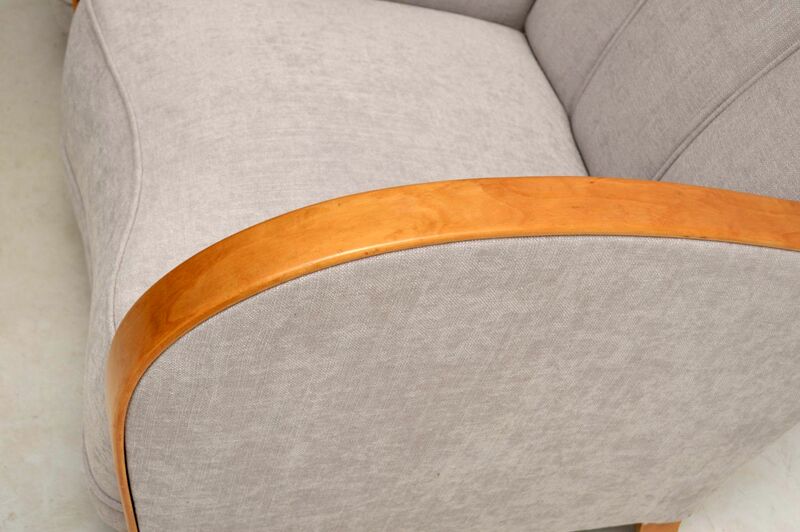 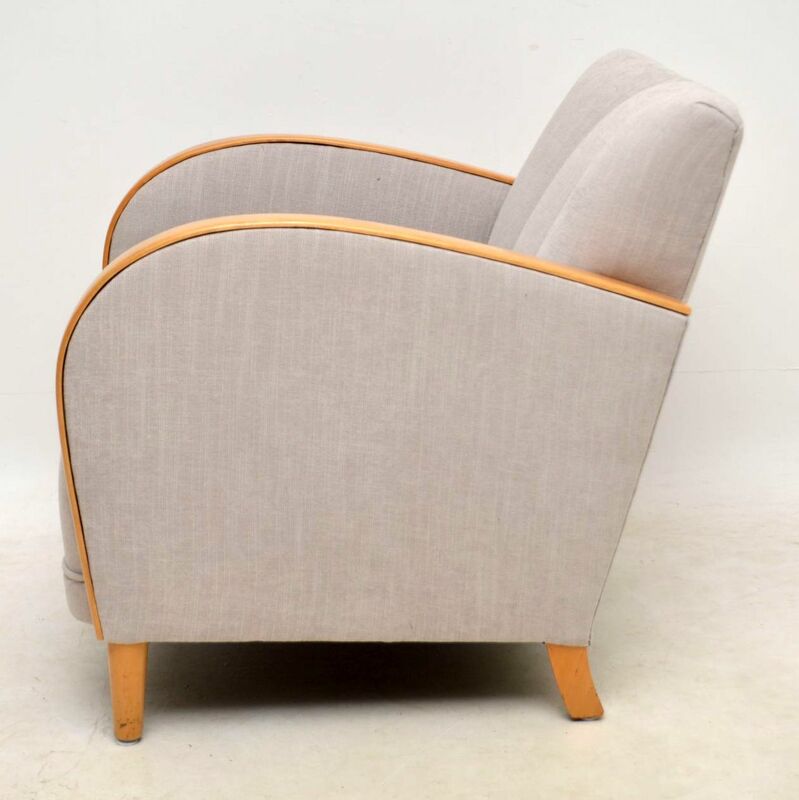 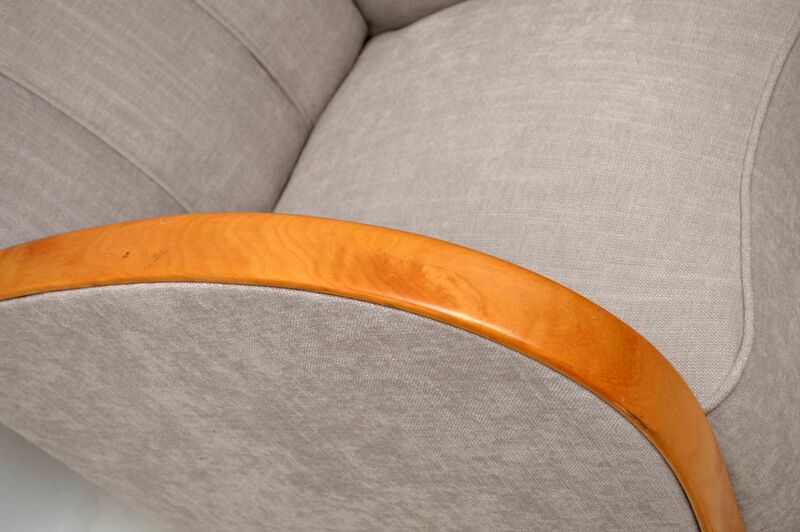 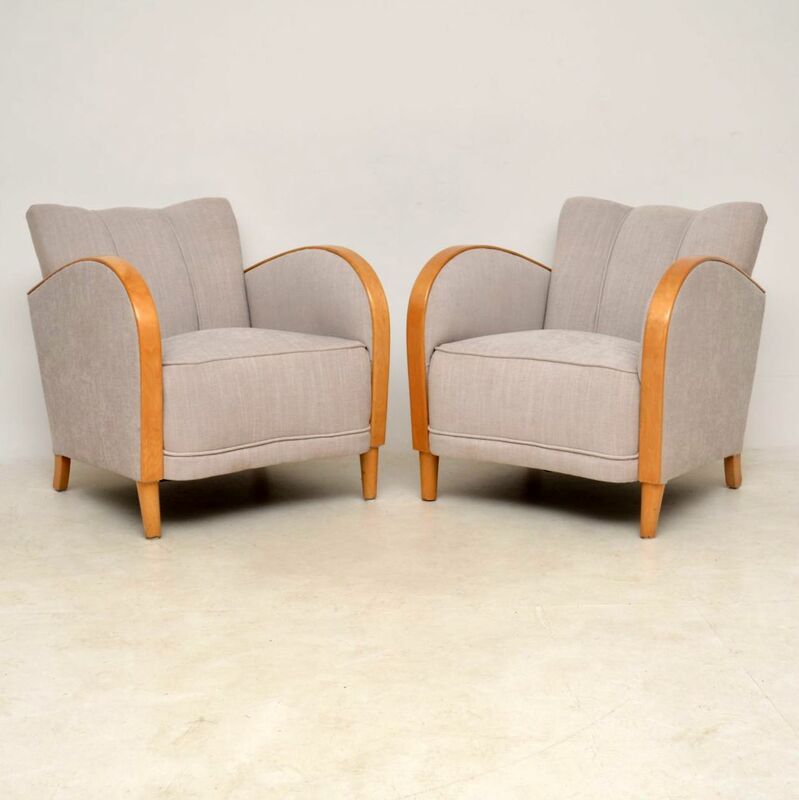 Pair of Swedish Art Deco Satin Birch Armchairs | Interior Boutiques – Antiques for sale and mid century modern furniture, french furniture, antique lighting, retro furniture and danish furniture. 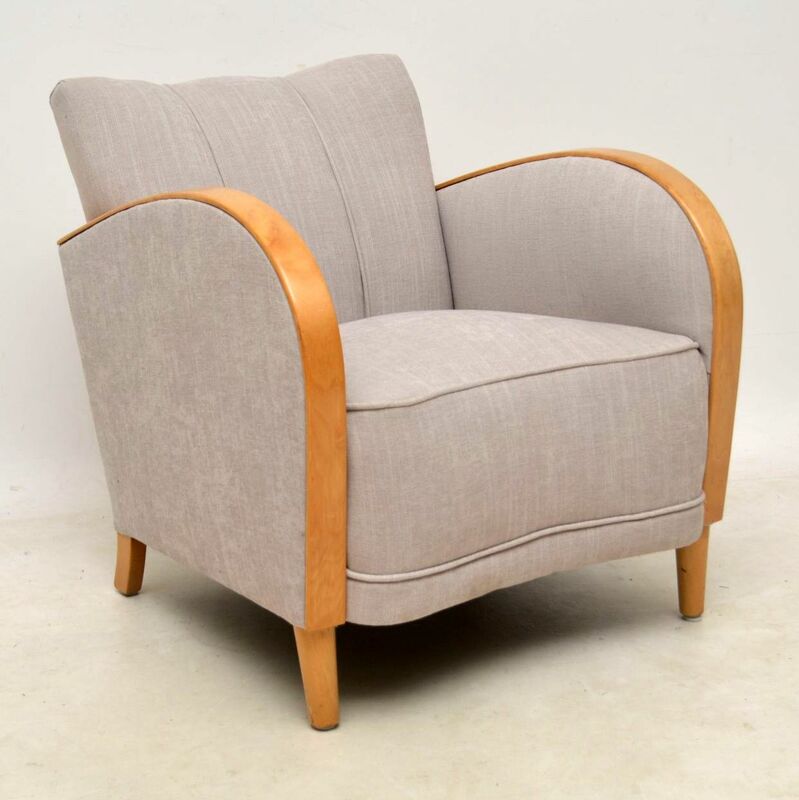 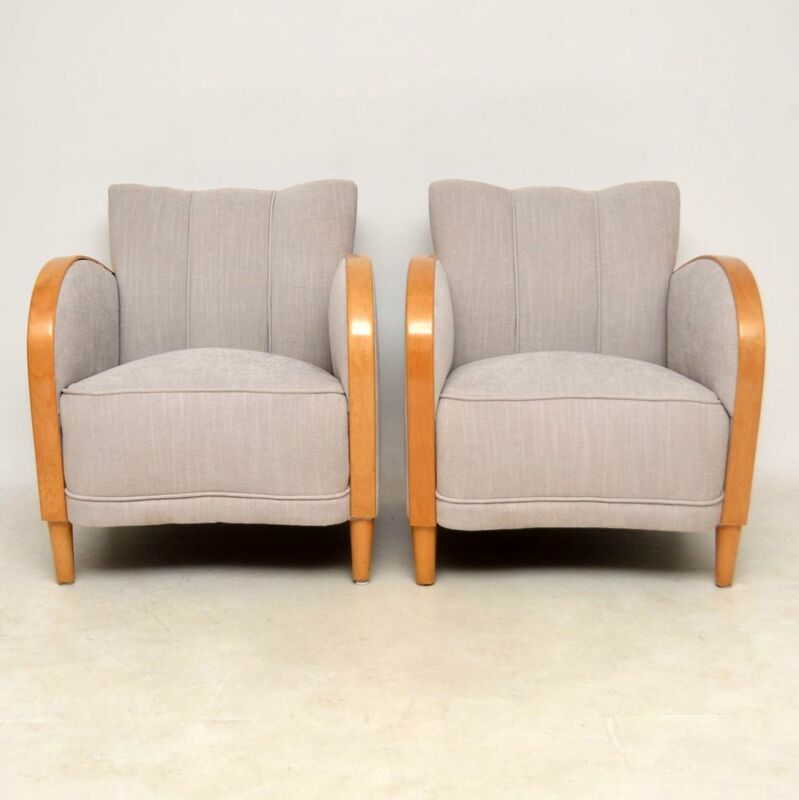 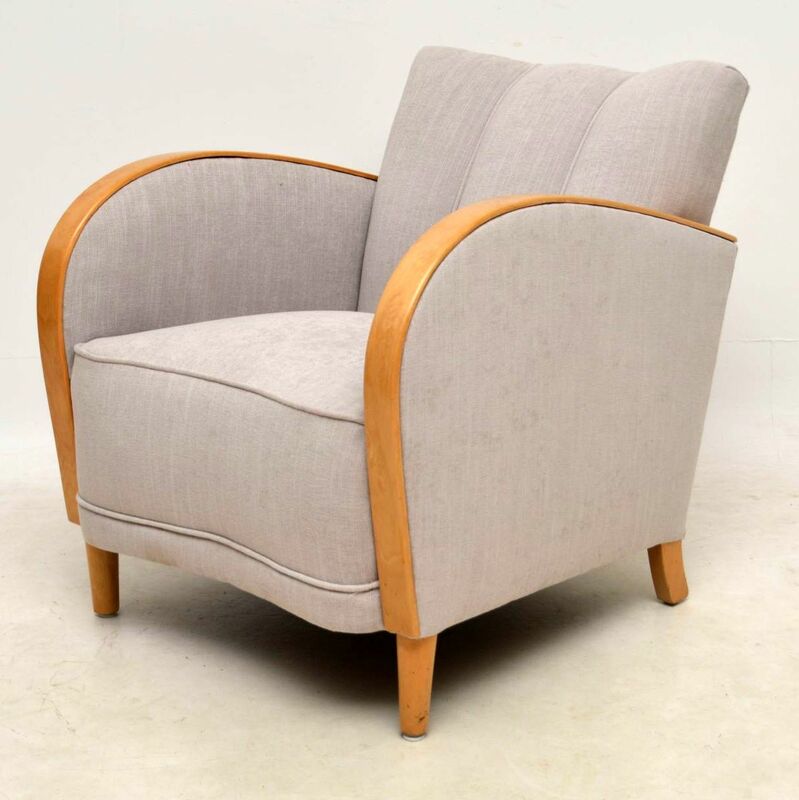 Pair of original Swedish Art Deco Satin Birch armchairs in great condition & dating from around the 1930’s period. 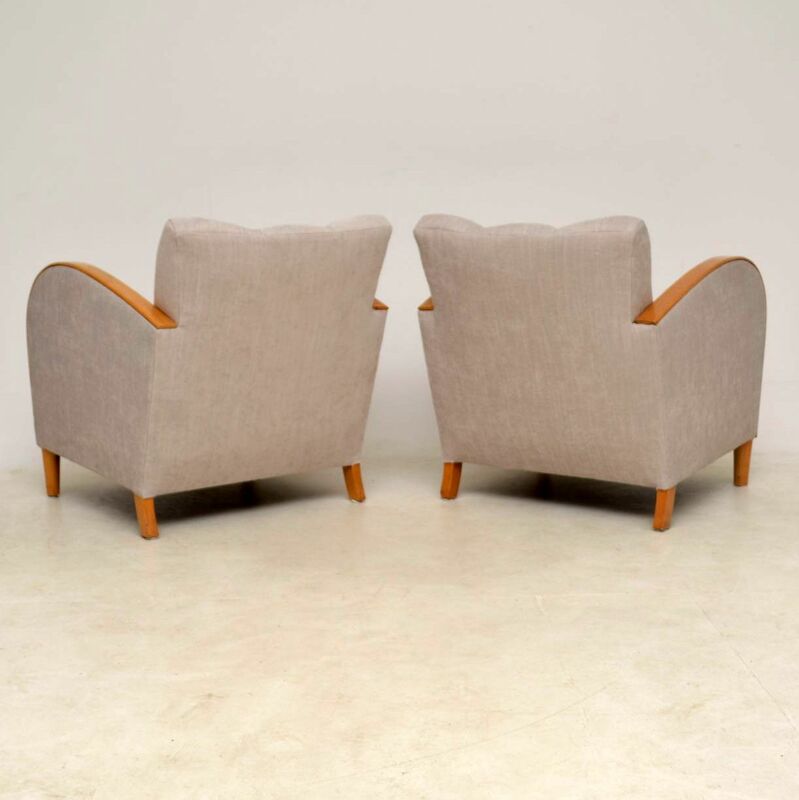 They have just come over from Sweden, been re-polished & re-upholstered in a neutral coloured fabric. 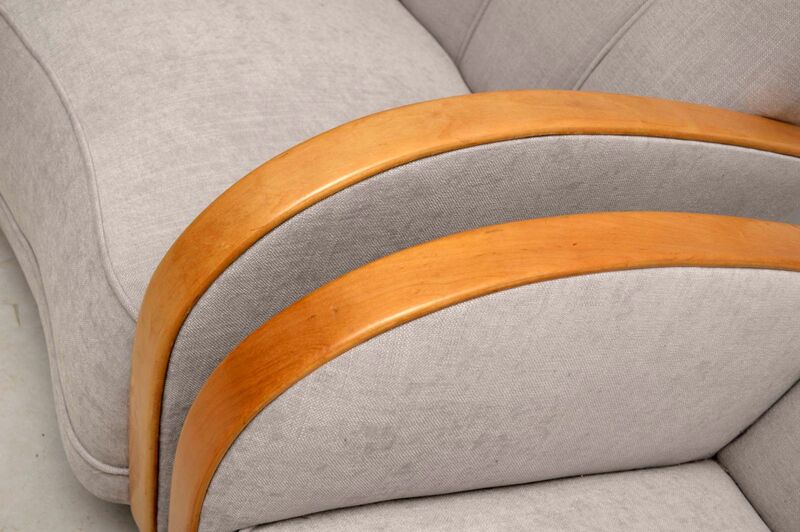 Like all these original armchairs they have proper coil springs, not like the new copies, so they will last a life time. 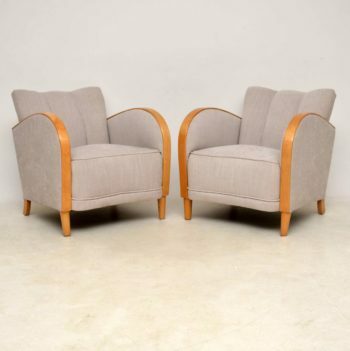 They have segmented backs, blond satin birch arms & legs. 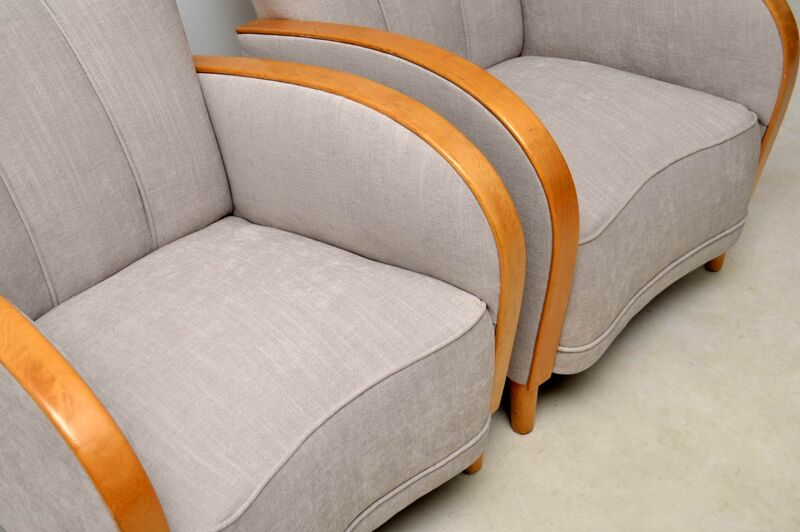 These are not only very stylish chairs but also very comfortable too..